 BUDGET - Monday was the last day for the Romanian MPs to introduce amendments to the draft state budget passed on Friday by the coalition government. Debates are scheduled to be held on Tuesday and Wednesday in the joint budget and finance committees. On Wednesday, the draft budget goes under plenary debate, with the final vote due on Friday. The draft budget was designed based on an expected economic growth rate of 5.5%, a 2.5% deficit, and a GDP around 200 billion Euro. Part of the budget design is the earmarking of 2% of the GDP for defense, in line with the commitments Romania made to its NATO allies, as well as a 15% rise in pensions as of September. The opposition has sharply criticized the timeline of the budget, as well as its provisions, which it deems unrealistic. FINANCE -On Tuesday, Romanian Finance Minister Teodorovici will chair in Brussels the second meeting of the Economic and Financial Affairs Council. The agenda includes the vote on the compromise proposal of the Romanian Presidency of the Council of the EU concerning the European System of Financial Supervision and the conclusions of the report on fiscal sustainability, as well as the guidelines for the 2020 budget. On Monday, Eugen Teodorovici took part in Brussels in the Eurogroup meeting, to discuss the proposal on the budget for convergence and competitiveness. INFLATION - The National Bank of Romania has increased to 3% the inflation forecast for the end of this year, the Central Bank Governor Mugur Isarescu announced on Monday, when he presented the quarterly report on inflation. In November, the Central Bank had estimated a 2.9% inflation rate this year, and 3.2% in 2020. Also on Monday, the National Institute of Statistics announced that the average net salary in Romania went up by 5.9% in December last year, as compared to the previous month, reaching some 620 Euro. The biggest salaries were reported in the IT sector, and the lowest in the hospitality industry. BREXIT - The British Prime Minister Theresa May will make a statement before Parliament on Tuesday, to inform the MPs about the Brexit negotiations, the premier's spokesperson announced on Monday. Also on Monday, the European Chief Negotiator for the UK Exiting the EU, Michel Barnier, warned London that time was "extremely short" to conclude a deal before Britain is due to leave the bloc on March 29th. "The withdrawal agreement which we agreed with Theresa May's government remains the best way to ensure an orderly withdrawal of the UK", Michel Barnier said. BERLIN - On Saturday, the Romanian President Klaus Iohannis will take part in the 55th edition of the Security Conference in Munich, Germany, which hosts the most important world leaders every year. The event is centered around transatlantic cooperation, and President Iohannis will speak of the need to strengthen NATO as guarantor of Euro-Atlantic security. Also, the Romanian head of state believes that the EU-NATO cooperation ensures security and prosperity. President Iohannis previously attended the Munich conference in 2016 as well. EUROSTAT - Of the almost 18 million engineers and scientists in the EU in 2017, 59% were men and 41% were women, according to Eurostat. In Romania, of the 540,400 engineers and scientists, almost 314,000 were men, and 227,000 were women. Men are over-represented in high technology industries, accounting for 83%, while in the services sector the situation is much more balanced, with 55% men and 45% women. In five EU member states, women make up the majority of engineers and scientists: Lithuania, Bulgaria, Latvia, Portugal, and Denmark. FLU - The number of people who have succumbed to the flu in Romania has reached 107, according to the National Public Health Institute. Healthcare Minister Sorina Pintea has announced that the epidemic cannot be expected to tone down yet. According to official data, 3,000 cases of flu were confirmed last week, as well as over 145,000 cases of viral respiratory infections. TENNIS - Romania's women's tennis team has defeated the Czech Republic 3-2 in the Fed Cup and qualified to the semi-finals, where they will be playing the French team. On Sunday, in the decisive game, the pair Irina Begu - Monica Niculescu defeated 6-7, 6-4, 6-4 the number one pair in the world, Barbora Krejcikova/ Katerina Siniakova. In the singles, Simona Halep, no.2 in the WTA rankings, defeated Karolina Pliskova and Katerina Siniakova. Mihaela Buzarnescu was defeated by both Siniakova and Pliskova. This is the second presence Romania has in the top four in the competition since 1973.